Do you know the one activity that creates these physiological and psychological symptoms?? If you guessed that it was the list of the top ten behavioral issues related to video game use, then you would be correct. Surprising?? Maybe for a very few, but most people that have been around kids or adults playing video games witness these traits first-hand, sometimes on a daily basis. Of the children and teens that we serve with issues in school, issues with depression, or self-esteem issues, many are due to video game use. It works just like a drug. It changes the brain waves. It produces dopamine, and it’s addictive. These games produce a fight or flight response, and even though the person playing hasn’t left the couch the reaction is the same. The body responds to perceived danger and real danger exactly the same way with the exact same emotions, hormonal shifts, and survival mechanisms. It’s the way we were programmed from the beginning of time. Adrenaline and glucose are pumped into their system, energy is taken away from their gut, liver, kidneys and bladder. We are well-designed for that if we needed to escape an enemy. However, we were not designed to continually activate that response without significant health repercussions. Once the stress hormones are released, it can take weeks until the body is stabilized and behavior normalizes, yet daily play creates an on-going assault to the brain and the central nervous system. This creates depleted adrenal function, decreased frontal lobe activity in the brain - and for children whose brains are still growing that is highly detrimental, impairment in function, and the chronically stressed child, or adult, begins to struggle outwardly. The girls never really cared about video games. We had a Wii and they played Mario Kart or Dance, Dance Revolution from time to time, but it was a once a week activity for them at most. They also had hand-held units when we traveled long distances, but it was the same thing. They’d play here or there but it was rarely their first choice. And then we had grandsons. Hawk didn’t start playing computer games until he was a lad. His parents are very conscientious about TV and screen time, and have been from before he was born, but as he got older, and watched his dad occasionally play on his system, or heard friends talk about different games, he became interested in them. So a couple of non-violent games were downloaded to iPhones and iPads. They were educationally-based, or cool racing games, and it was fun to watch his brain learn new concepts and intuitively master the device, but there were other types of reactions that we noticed as well. With Hawk, even as he played Ninja Run, an action-packed running game, his hands would get so sweaty - leaving streaks of wetness on the device! We started watching him more closely and noticed that his breathing became rapid, and his heart rate increased as well. I’d never noticed this with our daughters - not such an outward demonstration of biological changes. Noble’s reaction is different too. He would become completely engaged in the game, and completely disengaged with everything else around him. When screen time was up, he would get very upset. Different reactions from different boys, but both strong enough to make everyone aware that playing video games was not beneficial to their physical or emotional health. We witnessed it firsthand, and strict monitoring or disuse became non-negotiable for their very smart parents. I was fascinated by the difference from the girls to the grandsons, and as I explored this a little more, I learned that males are more attracted to and more likely to become hooked on video games. And that certain personality traits, like aggression and narcissism, can predict addiction as well. It’s vitally important that we set our children up for success, and part of that is avoiding the behaviors that create these negative reactions in their lives. When the changes become significant enough to impact brain function–or in other words how the child feels, thinks, behaves, or socializes–on a day-to-day basis, this is what’s called: Electronic Screen Syndrome (ESS). Because of the assault to the frontal lobe and other parts of the brain and body, Electronic Screen Syndrome can mimic or exacerbate virtually any psychiatric disorder. This phenomenon has lead to rampant misdiagnosis, inappropriate use of medication, and misuse of mental health and education resources. Medications, in turn, often have their own host of both short and long term side effects. Children who are aggressive are often medicated, because of safety issues. Children with attention issues are also often medicated, because they’re failing in school. Misdiagnosis would add to the downward spiral related to all of the symptoms. Simply decide with your child that you’d like to do an experiment - for 21 days, you will spend time together doing anything and everything except electronic games, computer games or gaming devices. Evaluate how the child feels, their sleep patterns, appetite and behavior, then let the child evaluate him or her self too! You will be amazed, and overwhelmingly pleased with the results! If you are into energy testing, just try to be strong for those games. It’s impossible. They make us physically, emotionally, and spiritually weak. I truly wish more people understood this concept. When video games were first introduced, it was all in third person. You knew which character you were portraying, but it was “they”, not “I”. That was bad enough, now these games are oriented to make it feel like you are the person running, shooting, grabbing, hiding. The character becomes “I”, and the enemy is “you”. The players become isolated and obsessed with their mission of destruction. Dr. Moses had this to say, “So let’s say you “killed” 50 or 100 or 500 people while playing for half an hour, or an hour, or 4 hours, or however long you played that day. All during that time, you are literally meditating and training your mind in this process through the repetition of these cycles of judgment, enemy, otherness, and destruction. It is literally mind-training, mind-changing, brain-washing, whatever you want to call it. 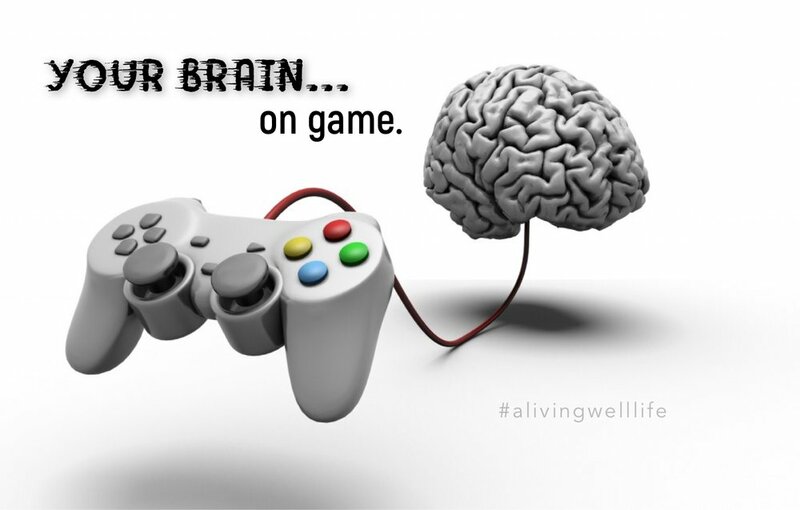 And it is a real process that creates real changes in the physical brain and in your mind, in your thinking and your perspective.” These games are intense. And if we become what we think about and meditate on, then we are creating monsters in our living rooms. 91% of school-age children play video games. That’s a whole lot of kids in front of a whole lot screens. If you’d like to help your child break this cycle, here are some tips to creating a well-balanced home. 3. Check for game cartridges in children’s backpacks and rooms. 7. Get help if necessary. There are resources available to stop the addiction. Doesn’t that sound so much better than the first two lists?? It may not happen right away, but know that your strength as a parent will be rewarded in the loving arms of a grateful child.